#Blogtober16 – Day 2. An Old Photo of You! 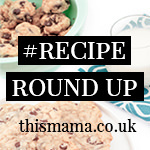 What a great idea to have a recipe round up! I’m not the best at baking or cooking, but I do love to try new recipes when I can!